Although a guitar-based outfit, Maiden does not bore with long, pointless solos–guitarists Dave Murray and Adrian Smith play with equal amounts of emotion and flash. And the group doesn’t rely on fancy clothes and makeup to get on the covers of teen-oriented rock mags. But one thing that Iron Maiden does have that is typical of the heavy metal genre is loudness. When they visit the Pacific Coliseum this Sunday (April 26), they’ll be utilizing the biggest indoor sound system in the world, custom-built to their personal specifications, and capable of delivering 173,000 watts of power. Iron Maiden have been lugging the sound system–as well as a lighting rig of over 1,000 lamps–around the world in seven 45-foot trucks. Their current tour, in support of their seventh LP Somewhere in Time, started in Belgrade last September and will finish off in New Zealand and Japan sometime this summer. By the time it’s over, the band will have played to over one-and-a-half million fans. Murray says that so far the tour has gone pretty smooth, although there were a couple of incidents that were “a bit like Spinal Tap. One incident that the band could do nothing about was the recent disturbance at the Meadowlands stadium in New Jersey, which got a lot of coverage and was termed a “riot” by the press. “Well it wasn’t much of a riot,” claims Murray. “It was just like thirty odd kids, out of 20,000, that got out of hand after the show. I don’t really think they were fans anyway–they just turned up to cause havoc. Heavy metal has always been criticized for its violent overtones, but for the most part Iron Maiden has been able to minimize any violent outbursts at their shows. When the group last played Vancouver, in 1984 with Twisted Sister, lead singer Bruce Dickinson went out of his way to chastise anyone causing trouble at the front of the stage. If it’s not violence, then it’s things like satanism that will get people like the PMRC (Parents Music Resource Center) all hot and bothered. Iron Maiden did the sinful thing of putting a likeness of the devil on their 1982 album, and then going and calling it The Number of the Beast. On the cover of Somewhere in Time, Eddie is done up as an avenging android in a Blade Runner type of setting. The theme from the movie opens the band’s current stage show, which has a futuristic theme with spaceships and laser battles. The show went over particularly well in Poland, where the group has a fanatical following. At a Warsaw show they were surprised by a request from the Russian embassy for tickets and backstage passes. After the concert the group treated the diplomats to English beer and cigarettes and discussed the possiblity of a fugure gig in Moscow. 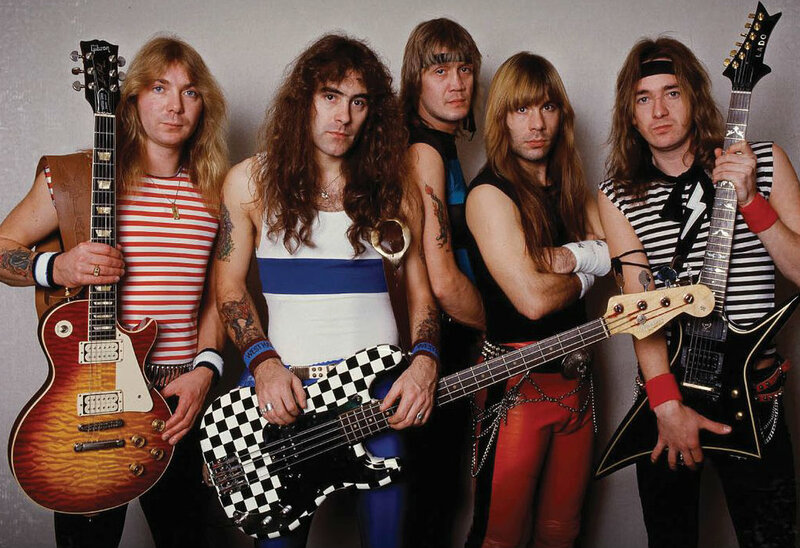 To date, Iron Maiden has amassed over 60 gold and platinum albums from 17 countries. 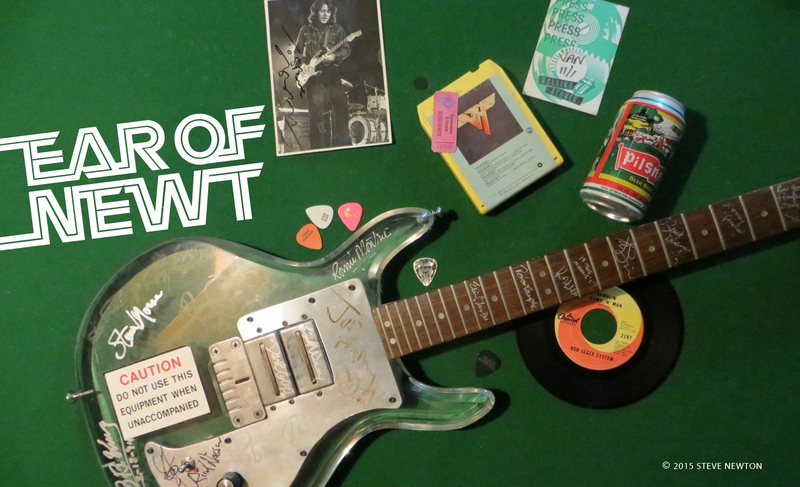 At the age of 30, Dave Murray is pretty well set for life–as are his bandmates. As a youngster learning guitar in the East End of London, he never dreamed that one day he’d be touring all around the world and making bug bucks. And does he ever wake up in the morning thinking he’s a pretty lucky guy?